The new Idea prepaid plan offers 1GB 4G/3G data with unlimited calling which is capped at 250 minutes per day and 1,000 minutes per week. It offers free roaming, but only on Idea’s network and seems to be only available for select network circles. 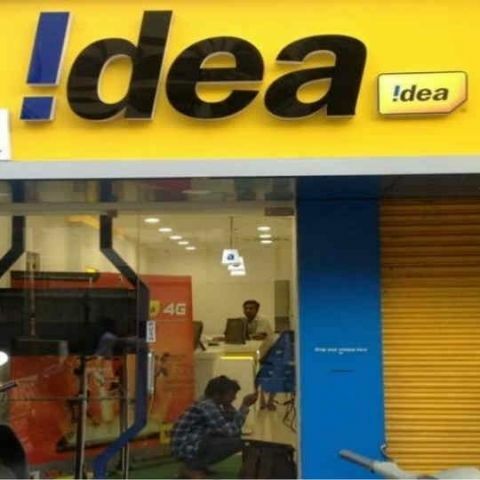 Idea has launched a new prepaid pack priced at Rs 93. Under the recharge, users will get 1GB of 3G/4G data along with unlimited calling capped at 250 minutes per day and 1,000 minutes per week. After exhausting the free call limit, customers will be charged 1 paisa per second. The prepaid plan comes with a 10-day validity. The new Idea recharge plan seems to be available only for select telecom circles and users should check if its available for their connection before recharging. The new prepaid plan by Idea rivals Jio’s Rs 98 recharge, which offers 2.1GB of high-speed 4G data, unlimited local and STD calls along with 140 SMS for 14 days. It should be noted that the Idea recharge plan doesn’t offer free SMSes. The daily data limit of the plan is capped at 150MB and after exhausting it, the speed is reduced to 64Kbps. Airtel has also recently launched a new Rs 93 prepaid recharge for its subscribers. It offers 1GB of 4G/3G data along with unlimited local and STD calls for 10 days and comes with 100 free national SMSes per day and unlimited roaming as well. The new recharge plans and schemes come after Jio announced its Happy new year plans last month. Priced at Rs 199, the Jio recharge offers 1.2GB of 4G data per day along with unlimited local, STD calls and unlimited access to Jio’s suite of apps like JioTV, Jio Cinema and more with a validity of 28 days. Soon after, Airtel also launched a prepaid plan which is priced the same and offers 1GB data per day along with unlimited calling and 100 SMS per day for a period of 28 days. Apart from Airtel, Vodafone has also launched a prepaid recharge priced at Rs 198. Under the recharge, users get daily 1GB 4G data with unlimited local and STD calls and free national roaming. They will also get 100 free national SMSes per day at a validity of 28 days. Jio also has a prepaid recharge priced at Rs 299, which offers 2GB of daily 4G data with free local and STD calls, texts, along with unrestricted access to all the above mentioned Jio apps. Additionally, after exhausting the daily limit, one will still get the unlimited data benefits at a reduced speed of 128 Kbps with both the Jio recharges. Tablet with 2gb RAM and 3g calling.